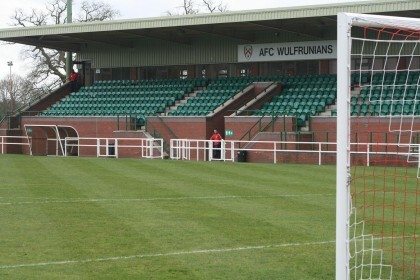 CKW Stadium, home of AFC Wulfrunians, from their website. Walsall Wood FC face AFC Wulfrunians away at Castlecroft. Visit the Walsall Wood FC club website here. This entry was posted in Events, Followups, Fun stuff to see and do, Local media, News, Reader enquiries, Shared media, Social Media, Spotted whilst browsing the web, Walsall community, Walsall Wood stuff and tagged 2018, 5 January, AFC, away, Castlecroft, Events, FC, football, Footy, Good of the Wood, Lichfield, match on, Park, Saturday, soccer, Stadium, Things to do, Walsall Wood, Walsall WOod FC, Wulfrunians. Bookmark the permalink.